Welcome to Haus Montana in Lermoos! Enjoy relaxing days in Haus Montana in the beautiful valley of the imposing Wetterstein mountain range, which includes the Zugspitze, its highest peak. Surrounded by the beautiful Tyrolean Alps, dear guest, you can enjoy the outdoors – be it hiking, skiing or mountain biking. Haus Montana is centrally located in Lermoos, and within easy reach of all the ski lifts, shops and attractions. Immerse yourself in a relaxed mountain atmosphere and spend carefree days with us. We, your host family, will happily provide you with helpful tips during your stay. Haus Montana comprises ten lovingly furnished living units for 2 to 6 people. All apartments have a balcony, cable TV and a fully equipped kitchen. Besides a cooker with oven and microwave, all family apartments also have a dishwasher. 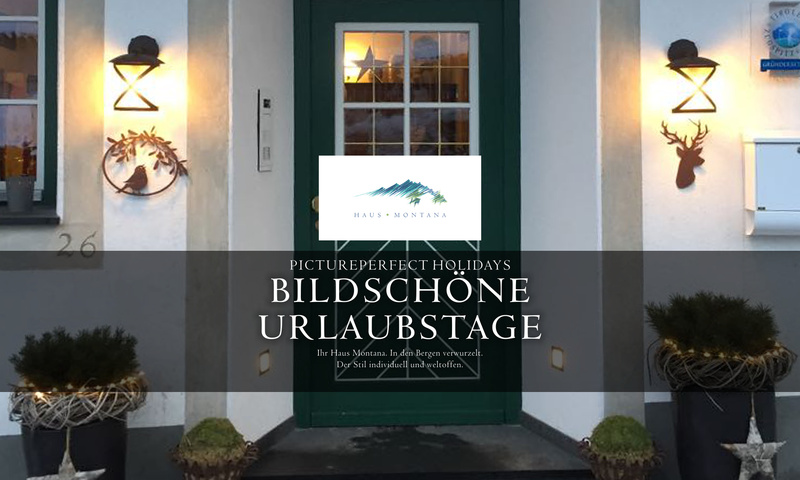 Haus Montana is just a three-minute walk away from the Hochmoosexpress lift to the middle station and is equally near the ski school meeting place with the ski school for children and the “Bobo” play centre. Winter sports enthusiasts will love the fast descents and toboggan run, while Lermoos invites its summer visitors to go golfing, running, hiking and especially mountain biking, because it’s not for nothing that the area has been chosen as the most popular mountain-biking destination in Austria. The “Panoramabad” public swimming pool and Mittersee and Blindsee lakes are also not far from Haus Montana. If you are arriving by train or by plane, we can arrange to pick you up free of charge from the train station in Lermoos and offer special prices for your transfer from Munich, Innsbruck and Memmingen airport to Lermoos! Haus Montana is a co-founder of the local golf course and our guests receive a 20% discount on green fees. Spend your holiday in Lermoos – in the Zugspitz Arena – in Haus Montana.